Update: Oops! Moreh Sedgh is now denying ever having spoken to the 'Zionist entity''s radio station. 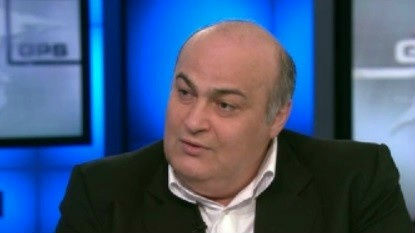 “Iran does not want to start a war against Israel, because they know that everyone who starts a war in the Middle East is doing suicide,” Siamak Moreh Sedgh told Israel Radio in an English-language interview aired Sunday morning. “Relations between Iran and Israel [are] more stable than ever before since the signing of the nuclear agreement last year,” he said. “Two, three years ago I was suspicious about [Prime Minister Benjamin] Netanyahu, I think he is crazy enough to start a war, but today, the condition of the world after the agreement is better, and the Middle East is more stable,” Sedgh said. A Syrian child refugee with 'Jewish heritage' has arrived in the UK, reported this week's Jewish News. The unidentified English-speaking boy said that his Jewish heritage was 'important' to him. A Jewish foster family is being sought for him. Such reports surface from time to time and must be treated with scepticism: the known Jewish community in Syria numbers less than 20 people and there are no children among them. In August, a report that three Syrian-Jewish families had escaped to Sweden posing as Christians and had finally joined a Louisville Jewish congregation in the US was denied by community leaders. A young man claiming to be of Jewish descent was profiled in a Swedish newspaper, but the presence of his family members in Lebanon and his stated aim to return to Syria to rebuild the country casts doubt on how genuine he is. While it is possible that there are Syrian families of mixed parentage it is unlikely that refugees identifying as Jewish would have left Syria with the great mass of Muslim refugees. 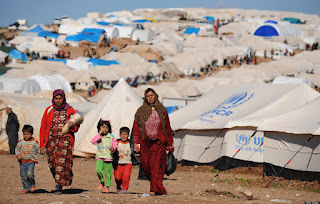 Christian and Yazidi refugees avoid the main camps for fear of persecution by Muslims. The individuals themselves may feel that they have a better chance of being given asylum in the West if they claim to be Jewish. Update: Iraq (together with Saudi Arabia) has been elected to the Human Rights Council. Jewish scribes outside the tomb of Ezekiel in 1932. 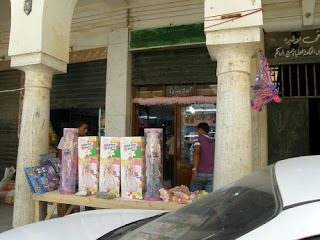 The tomb has now been converted into a mosque. Encouraged and empowered by the recent UNESCO resolution that rejects Jewish ties to the Temple Mount and the Western Wall,...“Iraq’s UNHRC election brochure says, ‘Jews have lived in Iraq for thousands of years;’ right — but were all chased out decades ago,” tweeted Hillel C. Neuer of UNWatch, an advocacy group highly critical of the diplomatic organization. Likewise, the brochure speaks about the country’s Yazidi minority, but does not mention that ISIS has launched a mass murder campaign against them in recent years. Further, representatives of the Iraqi-Jewish emigre community have recently been protesting Baghdad’s claim of ownership over a trove of Jewish books and documents uncovered after Saddam Hussein’s fall. They argue that Iraq has appropriated their Jewish history, after expelling them. 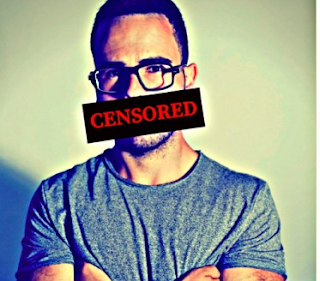 By now many will have been shocked to hear what happened on a London university campus on the evening of 27 October, when the audience for a talk by an Israeli speaker were harassed and bullied by an anti-Israel mob screaming "intifada, intifada!" and "From the river to the sea, Palestine will be free!" The police were called to University College London as the protest appeared to degenerate into violence. The Israeli speaker was Hen Mazzig, who had served in the IDF for five years and had toured US campuses speaking on behalf of his country. What is unusual about Hen is that his parents hail from Tunisia and Iraq. He is able to bring to the fore his family's experience of Arab antisemitism. 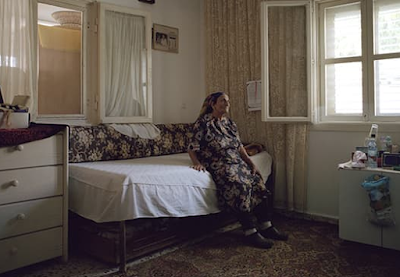 "Despite the persecution of my family in Iraq, she doesn’t speak a lot about her past. It is challenging to get any negative stories from Iraq out of her. 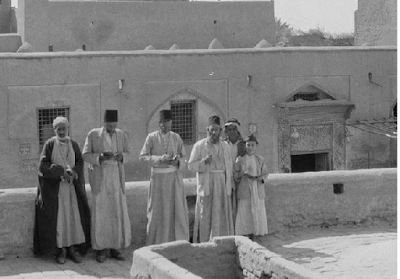 She prefers to tell me stories about how great it was, how beautiful Baghdad is, and how they always felt safe – until the two days of horror: June 1-2, 1941, known as the Farhud. To me, this event signifies the days of catastrophe; the start of a Jewish “Nakba” (catastrophe) that no one wants to acknowledge. These two days led to my family becoming refugees. “Farhud” means brutal intimidation of a population by its ruler, but it seemed more than just the rulers turned on the Jewish population of Iraq during those days in 1941. My grandmother always told me the story of the cafe that she spent her days at, a beautiful little shop, she said. On the first day of the farhud she was there. She tells me how she saw an Iraqi Muslim man screaming “kill the Jews,” and a Jewish woman walking across the street with her seven young children, one in her arms. The man pointed the gun at the woman and began shooting her kids. One by one they were murdered, as the mother screamed. Only after he murdered all of her children did he kill her. Quickly, the cafe owner hid my grandmother in the back of the store, until her father came to take her, running back home." 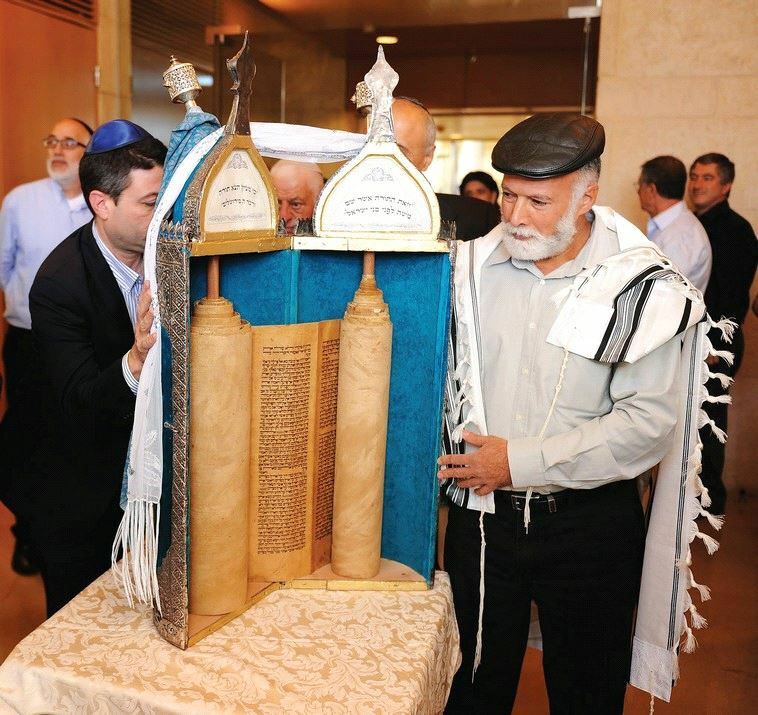 The Torah scroll being used by Israel’s diplomats is one that enraged another country – Iraq. Last year, the Foreign Ministry dedicated a Torah for use at its office synagogue in Jerusalem, that was smuggled out of Baghdad. The scroll, estimated to be 150 to 200 years old, is believed to be from the region of Kurdistan. When most of the country’s Jews fled to Israel after 1948, the scroll was left behind. The Iraqi government banned them from taking their property and seized assets from those who left. The ministry would not say just how the scroll arrived in Israel, but in 2006 or 2007 it ended up in the Israeli Embassy in Jordan. When, in September 2011, the Israeli Embassy in Cairo was attacked by a huge mob, the ministry decided to remove all extraneous items from its embassy in Amman in case of similar incidents. Among those items was the Iraqi Torah scroll, which was brought to the ministry in Jerusalem. In November 2013, Amnon Israel, the new manager of storage and supplies for the ministry, noticed the scroll in a storage room on his first day. He sought out an expert in Torah restoration, and after six months of work it was ready for use. The government selected a case for the scroll that originally belonged to the Jewish community of Aleppo, Syria, and was itself over 100 years old. The special dedication at the Foreign Ministry took place in January 2015 in front of Sephardi Chief Rabbi Yitzhak Yosef, and then-foreign minister Avigdor Liberman. The death on 24 October has been announced of Sylvia Kedourie, 90, wife of the late LSE Professor of Political Science Elie Kedourie. 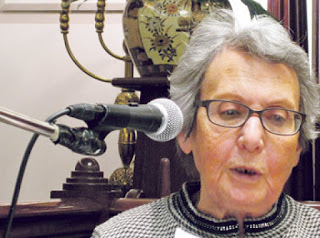 Although frail she remained active and alert until the last, passing away barely six days after the 2016 British Academy Elie Kedourie lecture in memory of her illustrious husband, whom an Independent obituary called 'the most profound historian of our age.' She was too frail to attend. 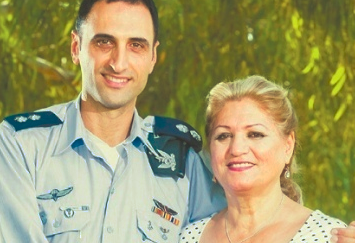 Sylvia G Haim was more than just a wife and mother to their three children. She was an influential academic and author in her own right. 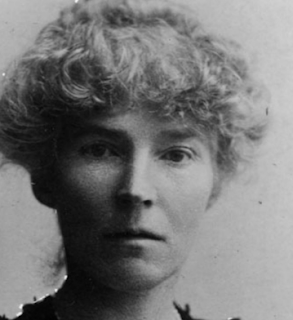 She collaborated with Professor Kedourie on several works and edited Arab Nationalism: an Anthology. It was a marriage of soulmates who shared a passionate interest in the politics of the Middle East. Both were Iraqi Jews born in Baghdad. 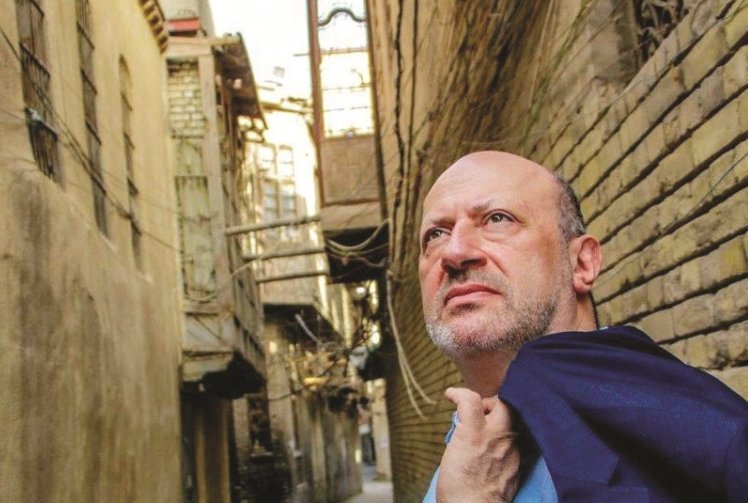 Elie Kedourie fell out spectacularly with the Oxford academic establishment with his scathing and unfashionable view of nationalism, which he claimed had turned the Middle East into a 'wilderness of tigers'. In 1992 on the sudden death of Elie Kedourie, Sylvia took over the editorship of Middle East Studies, helped by her daughter Helen. She travelled to Montreal in 2014 to give a talk about the journal on its 50th anniversary. She and Elie were the last of a breed of old-school political scientists, untainted by post-colonialist theories. 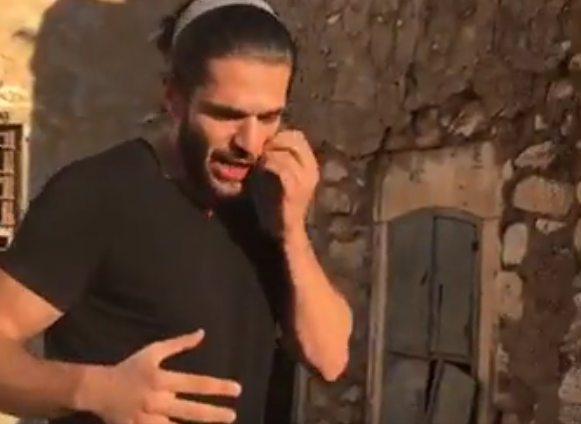 An Iraqi Jew's three-minute video message (scroll down to 2 October post) wishing Muslims a Happy New Year and appealing to Iraqis to safeguard their Jewish heritage has garnered hundreds of thousands of views. Following his appeal in classical Arabic, Edwin Shuker, an Iraqi-born Jewish businessman living in London, received an offer from the leader of the most important of Sunni tribes to work with Jews. After consulting with Muslim acquaintances, Shuker decided to make his video appeal when he discovered that the Muslim New Year 1438 coincided with the Jewish New Year 5777. He uploaded the video to his Facebook page and was astonished at its impact. "Every morning I wake up to another few thousand views," he told Jack Hugi of Maariv newspaper. "We left Iraq by force, but Iraq has never left our hearts for a single moment," Shuker began his appeal. "I do indeed express here my personal opinion, but I am sure that the words express the affection of the members of my community and longing for the homeland and for its rebuilding. This community lived more than 2, 600 years on this soil and has contributed greatly to the culture. But this community recently fell victim to the policy of division and sectarianism. It hurts to see this rich social fabric, a colourful carpet, threatened by the loss of its diversity. " Hundreds of responses poured in to Shuker's video. Individuals as well as officials , all of them in Iraq, thanked him warmly and wished to renew ties with the Jewish diaspora: "You Jews, come back and help us rebuild our destroyed country," said one message. "God curse the people who caused you to emigrate, you are part of us," wrote a surfer from the city of Karbala. " We have not forgotten you, nor forget. Give my greetings to all Iraqi Jews." A Shi'ite cleric wrote: "I am very interested in and insist on the return of Iraqis, especially the Jews, who represent a rich diversity of Iraqi society". The most important message was from a Sunni Sheikh who offered to cooperate and make further contacts with Jews. "Great people are the ones who make history," he wrote. "I notice that you are you a patriot ... I am willing to go out on this mission with you and to send a message of affection, cooperation, tolerance and a handshake without hesitation or fear. " Shuker is especially excited by this approach. This was an explicit bid, at a senior level, to renew the relationship between the Jews of Babylon to their homeland. Despite that, in the 13 years since the fall of Saddam Hussein, he has made several visits to his homeland. "A revolution takes place before our eyes," he told Maariv. "It is important for the current generation to hear the Jewish voice, which they have not heard for 50 years at least. Today they appreciate how important Jews were in the Arab world." "Some of them are telling us: If you were here, maybe everything would be different.We do not come with demands of the restitution of our rights, but to say: you are our brothers, and the problem is for all of us, so let's solve it together. We were there for over two thousand years, we drank together from the Tigris and Euphrates, we ate typical Iraqi dishes with you and now we ask you will protect all holy sites, not only of Jews, but also Christians, Yazidis and others. I want to bring my son and grandson and great-grandson to Iraq and show them what a glorious civilization existed there. " "There was a large Jewish community here in the past," Cohen says. "Over the last 15 years, the wealthier people left, most of them for Madrid and Malaga in Spain. The poorer people went to Israel, and others to South America, especially to Venezuela. The community is shrinking every year. The economic situation here and in Spain has deteriorated. Middle-class families have fallen." He says the community is dealing with a situation in which the younger generation is becoming increasingly ultra-Orthodox, leading some to move to Israel to study Torah at yeshivas and to establish households, and others to remain and become more and more religious. The Cohens are proud of their town. Melilla has tax-free trade status, and most of the Jews, as well as the other locals, deal in trade with Morocco, only a few steps a way from the city's beautiful marina. This directly influences the communal fortunes. According to Cohen, "The decline in trade, which employs most of the Jews, has led to high costs for the community because any aid [for community members] comes from the communal purse. So, in recent years, I have been suggesting to people to move to Israel. The situation in the Jewish community nowadays isn't bright. Ninety-five percent of students at the high school are Muslim. How can you send a child who has been [exclusively] with Jews until he was 12 years old to a school like that? The reality is sad and it is hard to sweep it [under the rug]." In the center of Duquesa de la Victoria Avenue, 60 children attend a Jewish school up until age 12. Since the cost of tuition is around 300 euros ($327) per month, only about a fifth of the community can keep up with the payments. The others receive assistance from the donations of wealthy community members who have left the city. "I'm talking about 40 families in the community who lived with dignity and managed small businesses and went bankrupt," Cohen says of those who require assistance. "For some of them, the community pays their rent. Some of them receive assistance for specific things. During the holidays, they give to everyone -- and it is all done anonymously. The state provides 400 euros [$435], which only covers rent, but if you are indebted to the state you don't even get that. The community has paid these debts more than once to allow its members to receive the allowance from the state." Both father and son emphasize the importance of the school's existence and of the need for donations from within the community and from abroad to keep it from closing. "The day that the school closes, the Jewish community in Melilla will no longer exist," Cohen states emphatically. In addition to the issues of education and livelihood, the Jewish community of Melilla shares a problem with many other Jewish communities around the world. Cohen speaks openly and boldly about anti-Semitism. "Lately, there has been a new phenomenon in which parents are afraid to send their children to the mixed high school, and we are seeing more and more children who are home-schooled after elementary school because of how they are treated as Jews," he says. David adds: "There is serious violence in the schools. They yell 'Heil Hitler' in class and they hit the Jewish kids just because they're Jewish. This was true in my day too, only it has become more violent and aggressive. " When David Cohen visits Israel, he wears a kippah, but in Melilla, he wears a hat instead. 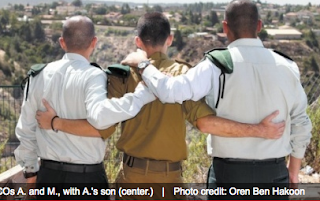 "Tzitzit [ritual tassels] is not even an option," he says. "As a Jew, there are places where I won't go now. People in the community are closing their eyes -- some because they are afraid and some because they have an interest in doing so. Why would Jews who are municipal workers or who are in the government, where the salaries and conditions are good, speak about anti-Semitism? When Dad started working at the UIA, many people from the community came to him and asked him why he would do that. They didn't like it that Dad convinced people to move to Israel, and some bothered him." "One day, by chance, I saw a top secret document with an order barring Jewish emigration from Iran. I was mortified. I told my husband, and we started thinking about what could be done. 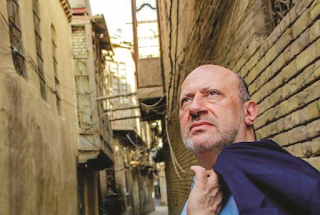 Tehran has a rabbi named Baruch Hacham, who would help the young people escape somehow. The smugglers would charge a lot of money and it was a very dangerous road. Many were caught and thrown in jail. "My father-in-law had just died, and they [Houshang's family] decided to try and get two older brothers out [of Iran] through Hacham, but they were caught near the border and thrown in jail. My husband went to get them and was beaten up. But he paid a bribe and got them back. They then decided to try and smuggle the two younger brothers out. They were only 15 and 16, and so many soldiers had died in the war the army was starting to recruit really young boys. "Iranians lend great importance to identity. They would always ask, 'Are you Iranian or Jewish? Jews were sent to the front line immediately. Going into the army as a Jew -- that was a death sentence." Q: Were your husband's younger brothers able to escape? "He sent them through Hacham, but they were also caught near the border. Their mother was left alone, she was elderly and lived in another city. They [the authorities] wouldn't issue her a passport because she was Jewish. We were also waiting for passports, but they gave us the runaround. We didn't know what to do. " At that time, in addition to passports and identity cards, there was also a third registry, a notebook that listed the details of the family. To leave Iran, you had to have all three documents. The solution we came up with was to pay Muslims for the documents. I stole stamps from the office where I worked and forged passports. Jews' passports were red and Muslim passports were blue. That's how we started helping Jews leave Iran." Placing themselves at considerable risk, the couple launched a forged passport "industry," mostly for young men who were slated to be enlisted. "We never thought of ourselves. We were focused on helping the young people. I would forge passports, replace photos, stamp. I spent hours on end on it. We would buy Muslim passports. They could travel far more easily. But these were delicate transactions. We only got them from people we knew, in my workplace, my husband's or friends we knew before the revolutions. We would spend a long time convincing them. After all, it placed them in danger as well." The illegal industry was exposed after a woman they forged a passport for apparently told a government official she had befriended about them. "One night, we were at home with the kids, and all of a sudden regime officials came into the house. They're not like the police here in Israel -- they were like God. They could do whatever the wanted. They could kill with impunity. It's like having Islamic State operatives show up on your doorstep." Q: Did they find anything illegal? "They tore the house apart, pulled up tiles, and we weren't allowed to say a word. They blindfolded us, and threw the children to the side [of the room]. We had materials in the house that we used to forge passports. At the time my husband was unemployed and he was involved in illegal money-changing, and there were papers saying he transferred dollars out of Iran, which was illegal. There was also a photo of my cousin, who immigrated to Israel and was in the Paratroopers Brigade, in uniform. God help me, I'm still terrified just talking about it." That night ushered in a chapter of horrors for the family. Fortunately, while forging passports, the couple had the sense to pose as Muslims. "We had documents saying we had converted to Islam. We also had Muslim marriage documents that we had poured tea over, to age them. We also had Khomeini's book and a Koran, so the police were confused. They didn't really understand who we were or what we did. The police said they were taking us in for interrogation. The landlord heard the ruckus and came over and I asked her to take the children to my sister. I wasn't supposed to speak, so they [the police] hit me and threw me down the stairs. "They beat the hell out of us during the interrogation. They used electric shocks … the torture was unimaginable. Then they showed us the picture the woman who informed on us, and I thought -- that's it. This is our death sentence. Then they threw me in a room that was pitch black, without food or water. "The next day they took me and my husband to a prison that is known as one of the world's most infamous jails. They say even birds don't fly there. If you go -- you never come back. It's a miracle we got out alive. It's a miracle I'm sitting here." Q: Did your family know how you were doing? "No. We didn't get a phone call, or a lawyer. I had no idea what was going on with the kids. In Israel, an Arab terrorist gets a lawyer and he can go to school while in jail. We got nothing. We were nowhere." Q: What was prison like? "They separated us immediately. They tied me to the bed and stretched me until I was sure my back had broken. I was beaten with a leather whip until I passed out. The men would beat me, even though they were prohibited to do so by their religion. Because they suspected I was Jewish they enjoyed it. They dragged me across the floor by the chador [full-body-length garment worn by women in Iran when in public]. I didn't eat or drink for three days, I was half dead. " I was interrogated every day. The interrogator would hit me repeatedly. 'Tell me, you little stinking Jew, how did you fool the Islamic Republic?' he would ask. 'How dare you? Who did you work for?' They thought we were a network. But I never broke. I never told them about anyone. I prayed that my husband wouldn't talk. I didn't want to place the families of the young people we helped in danger." Between interrogations, Goshen was thrown into a cell with Baha'i women, whose religion was also targeted in post-revolution Iran. "One of the women there taught me the Quran, and I also knew a little from my daughter, who went to kindergarten with Muslim children after the revolution," she recalls. "One day they took me in for questioning by an Imam. He told me to recite something out of a prayer, but Muslims have a purification ritual before [prayers] so I said, 'I have no water for purification.' He told me to go ahead anyway. So I sang what I knew. I did it wholeheartedly, I hoped it would save my life. Then he told me to recite another line that I happened to know from my daughter, then another line, which that woman taught me the night before. By some stroke of luck, he stopped me after the last line I knew. I don't know what I would have done had he asked for even two more words. "My mouth was dry and my heart was pounding. It's an indescribable feeling. Every day might be your last. The moment he told me to stop I said 'Shema Yisrael' in my heart. The Tel Aviv Museum of art is a somber slab of concrete built in the no-fuss brutalist style of the late ’60s. The architect who planned the museum also designed Israel’s nuclear reactor; such is the overlap between culture and political exigency in the country. 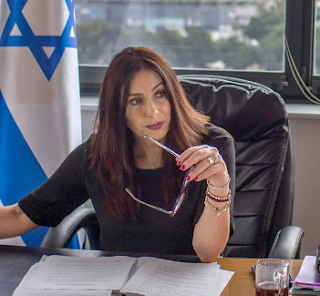 Regev, who is 51, grew up in Kiryat Gat, a development town in Israel’s south, which — like many other towns in Israel’s peripheria, or periphery, the areas outside the country’s urban center — was set up in the 1950s to house the influx of Jewish immigrants from Muslim countries. In person she is warm; after two minutes of conversation she will call you kapara (“sweetheart” in Jewish Moroccan dialect) or neshama (“soul” in Hebrew). Yet in public life she comes across as crass and hotheaded. My comment: The article's title: the Commissar of Culture" tells you all you need to know about Miri Regev. Vulgar, unsophisticated, she is a stalinist and a populist, an opportunist who would have joined any party just to gain power. She rose through the ranks of the military as a censor. Her role as culture minister is therefore 'Macarthyist censorship' - politicising the funding of art in order to promote her own pro-settler, anti-Arab, 'right-wing' agenda. The NYT can no longer brand theMizrahim as the victims of the Ashkenazi establishment.Suddenly, they are the establishment. One would have expected the leftist New York Times to support Regev's anti-elitist revolution: but no, the reporter sees her as reactionary and anti-Palestinian. There is little attempt to understand how her Mizrahi background has shaped her views. She is seen fraternising with the wrong kind of Arab - not the 'moderate' MK Ayman Odeh, for whom Shimon Peres was not enough of a peacemaker for Odeh to turn up at his funeral - but the kind who are willing to reach an accommodation with the Zionist state. Naomi Giat may be 92 but she speaks of her flight from Yemen nearly seven decades ago with the wide-eyed urgency of a young woman recounting events that happened the other day. A seamstress, Naomi married her husband Yehiel, a jeweller, aged 13. In 1949, as life in Yemen became increasingly untenable for its ancient Jewish community, the young couple trekked from Sana’a to a transit camp near Aden to take part in Operation Magic Carpet, a massive airlift of Jews to the new state of Israel. The Jews had to put their jewellery in a box before boarding: it might weigh the plane down, an official told her. She never saw her silver necklace or bracelets again. “Heaven,” she says, when asked how she imagined life in the new land would be. Because Naomi was breastfeeding her infant son Yosef, aged one, the couple spent just one night at the camp before being fast-tracked on to a flight. But the trip, Naomi’s first on a plane, was nerve-wracking;" When the plane landed in Lod in central Israel, it was dark, cold and hailing. As Naomi reached the tarmac at the bottom of the stairs, a waiting nurse told her she needed to take Yosef. Naomi protested but the nurse insisted, saying the baby was ill and needed tests. It was the last she saw of her son. Later the nurse came to their tent and told them that Yosef had been taken to another transit camp; two months later, Naomi and Yehiel were told he had died. There was no death certificate or grave. Naomi pined for Yosef, keeping and washing his nightgown for years. She still lights a candle on Friday evenings in his memory. “I just want to know what happened to him,” she says in lilting, Arabic-accented Hebrew. She is not alone. Many families, mostly Yemenites or other Mizrachi (“eastern”) Jews from the Middle East, reported babies missing from hospital after sudden or suspicious deaths in the tumultuous years following Israel’s creation in 1948. Most parents believe — and in a handful of cases it has been proven, through DNA tests or paper trails — that their children were taken from hospitals or refugee camps and given to childless Ashkenazi Jewish Israelis of east European descent, including Holocaust survivors. Israel is now promising a full accounting of this alleged scandal, dubbed the Yemenite Children Affair because so many stories come from that community. Families from north Africa, Iraq and other countries have also reported children missing, as did some Ashkenazim from Balkan or other European nations. Suspicions first stirred on a widespread scale in the 1960s, when many parents began to receive military draft notices for their deceased children in the post. These suggested that the state was unaware the children were dead — or, the parents say, actively knew that they were alive. The Yemenite Children Affair has been the subject of three Israeli official inquiries already, resurfacing every decade or two like a recurrent fever dream. The most recent state probe, in 2001, examined more than 1,000 cases and concluded that most of the children in question had died natural deaths. While it said that some of the remaining ones were probably adopted — and did not reach conclusions in a number of cases — it found no evidence of kidnapping or an organised conspiracy. However, the committee ordered the files in the inquiry sealed until 2071, prompting families who lost children — and the activists advocating for them — to accuse the state of a cover-up. My comment: why does a respectable newspaper of international repute run a long -very long - feature about a domestic controversy in Israel that supposedly occured nearly 70 years ago ? As minister without portfolio Tsachi Hanegbi pours over files that might not be accessible till 2017, why did the journalist John Reed not wait till the end of October 2016 to learn of Hanegbi's recommendations to declassify the documents, or not, instead of indulging in speculation that the Yemenite Children Affair might have been a government cover-up? The case studies of the families who lost babies are desperately sad, but experts, including the historian Tom Segev, affirm that 90 percent of the lost children died of natural causes. However, the lingering impression to the average reader is of Israel as a force for evil. From the very first paragraph, Israel is demonised and assertions of 'crimes against humanity' - 'something that can't be separated from the Zionist project' linger in the mind. They steal jewellery, don't they? why would they not steal children? Well-worn cliches about 1950s European elitism, even racism, and the 'Sephardi-Ashkenazi' divide are trotted out, although the reporter admits that families from the Balkans and other European countries also lost children. Then there is the obligatory, derogatory quote from Ben Gurion, although he also said some complimentary things about Mizrahim. Syrian Jews: "suddenly, you leave everything behind." Jewish Agency representatives equipped the father will all the documents he would be required to show to Syrian intelligence officials about his European vacation and sent him back with the guarantee that a few days later, an agent would come to his house and smuggle him and his family out of Syria. As a way of identifying the agent, the Jewish Agency people took a Syrian coin, which had three holes, and tore a banknote in two, half of which they gave the father, and the other half of which they stuck into one of the holes in the coin. " When he returned home, he didn't tell anyone about his plans. There were plenty of Jews at the synagogue who informed to the regime in exchange for protection of one kind or another, so only his two other brothers, who wanted to make aliyah, were privy to the secret," M. says. But a few weeks after their father returned to Syria, the First Lebanon War broke out, and the plan was shelved. The agent never arrived, and the father put his dream aside and went on with his life. In the meantime, one of the brothers had gotten engaged, and they had both opened a successful business together, so he asked [the agent] for a few hours to talk to his brothers, and they agreed to meet again that evening," A. says. Running around crazed, the father asked his brothers if the plan was still on. "They didn't hesitate for a second and told him this was their only chance. You have to understand that it was a very dangerous scheme, with an unknown outcome, and that other than the dream, no one really knew what awaited them in Israel. He didn't want them to blame him if something went wrong. 'It's their choice,' he said, but they insisted it was what they wanted." The agent was actually a local collaborator who knew the smuggling routes to the border with Israel and life out in the open. Three days after the meeting in the shop, on Tisha B'Av 1985, A. and M., their father and mother, their uncles, and the fiancée and her uncle set out for a bordering country, from which they would continue on to Israel. The family told their relatives that they were headed for the resort town of Latakia. So as not to arouse suspicion, each brother left from a different point in the city. "Since it was a total secret, [our father] didn't tell us and his brothers didn't tell the fiancée," A. says. "One word out of place, and it would have put all our lives in danger. But I -- a 15-year-old -- knew. I felt the excitement in the air. I saw my father talking with my mother and even though I didn't hear what they were saying, I saw my mother packing food and when I left school, I knew that it was for the last time. I was euphoric, like the moment I'd been waiting for my whole life was finally here. When we left, my father bid his employees goodbye and said he would see them a few days later. That's how careful he had to be. Suddenly, out of the blue, you leave everything behind. Your business, your property, your house, your friends, and your family. Everything you built in your life, and go out to build a new life," A. remembers. The news that the Moroccan King Hassan II allowed the Mossad to listen in on conversations at the Arab League summit in Casablanca in 1965, thus 'helping Israel to win the Six-Day War, is in fact an old story. The 'revelations' by Shlomo Gazit, ex-chief of Military Intelligence, broken by Yediot Aharonot and carried by other news media have been common knowledge for decades. "He was less polite to European monarchs, perhaps because they have little power, and turned up nearly an hour late to dine with Queen Elizabeth when she visited Morocco in 1980. But where he considered it mattered, King Hassan was a dab hand at manipulating western opinion. On independence from France in 1956, Morocco had 350,000 Jews, a large and influential minority. Within two decades nearly all had been exported*, most to Israel, under covert agreement with that country. King Hassan used the few Jews who remained to sell his kingdom as an oasis of pluralism amid the climate of Arab intolerance, a fancy lapped up by pro-Israel lobbies in Washington and Paris. Having earned trust in Israel, he was often able to act as a go-between for other Arab countries. European dignitaries, plus a present and past American president, came to his funeral to hail him as a peacemaker. But his relationship with Israel was less about peace than the elimination of mutual foes. Israel's secret service, the Mossad, helped the king to abduct his former maths teacher and leftist opponent, Mehdi Ben Barka, in a Paris café in 1965, and subsequently kill him. Israel and the United States supplied the tanks to crush the Polisario Front, a guerrilla force struggling for independence in Western Sahara. United Nations officials say the defensive sand walls in Western Sahara bear remarkable similarity to the Bar Lev line the Israelis once constructed to keep Egypt at bay. The king let the Mossad set up a base in Morocco in 1964, and eavesdrop on an Arab summit called to discuss a united military command on the eve of the 1967 six-day war. In domestic affairs, King Hassan fiddled continually with the constitution to secure power while retaining a whiff of democracy. His amendments of 1970 banned parliament from debating royal decrees, since that was tantamount to challenging the will of God. The king retained control of internal security, foreign policy and defence. Moroccan law still forbids inquiry into the king's finances. In the mid-1970s, having expropriated the property of French settlers, the king was reported to own a fifth of the country's arable land. The mining of phosphates (Morocco is the world's largest exporter) remains a royal concern. By the time of his death, the king had built at least ten golf courses for his private use, including one in Fez, floodlit for nighttime rounds." *'driven out' is possibly a more appropriate term: the atmosphere was one of virulent antisemitic nationalism and repression, despite King Hassan's philosemitism, and the remaining Jews of Morocco left amid the heightened tensions following the 1967 war. Today is the first day of Succot, the Feast of Tabernacles. Jews recall the Biblical time when the Children of Israel built makeshift huts in the desert on their journey from Egypt to the Promised Land. Enjoy this Iraqi-style medley sung at this time of year. Wishing all readers who are celebrating this Feast Hag Sameah. years of lobbying by organisations representing Jews from Arab countries?). 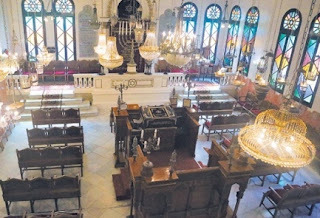 Either way, Arye Tepper, writing in The Tower sees the promotion of Mizrahi heritage as a means to unite religious and secular Jews in Israel. The inexplicable manner in which the heritage of Mizrahim—Jews from Arab and Islamic lands—is elided in Israeli schools was recently put on display with the release of the 360-page Biton Committee Report. 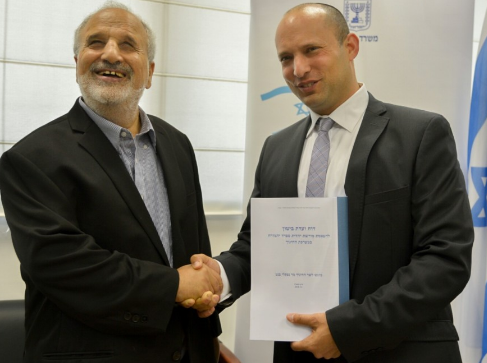 Formed in March 2016 at the behest of Education Minister Naftali Bennett, and led by the critically-acclaimed Algerian-born Israeli poet Erez Biton, the committee assessed the manner in which Mizrahi heritage is taught (or isn’t taught) in the Israeli educational system. The Biton Committee divided its work into nine subcommittees. The subcommittees were manned by 80 academics and experts who met weekly or biweekly in order to address different aspects of the Mizrahi story. Aside from a brief introductory synopsis, the report is, essentially, a summary of the work done by the different subcommittees. Unsurprisingly, the report calls for increasing the amount of Mizrahi history taught in grades 1-12. With regard to literature, the report notes, “At present a high school student studying in the state school system can complete his or her study…without having been exposed to the Mizrahi voice except for the poets of the Golden Age of Spain.” This, too, is supposed to change. Specifically, the report recommends studying “the young generation of (Israeli) poets and musicians that has exploded on to the Israeli scene,” with an eye toward the working-class, southern development towns where many of these artists grew up and Mizrahi Jews were originally settled by the government. “This is another important perspective for studying the Land of Israel.” The committee also recommends utilizing the period around November 30th, designated Mizrahi Heritage Day by the Knesset in 2014 in order to commemorate the flight of Jews from Arab and Islamic lands, for teaching students about Mizrahi history and culture. "Exile broke him. The economic and social decline, the polarity of life between Libya and Italy, demolished his existence. The mourning for a lost life never left him, so he remained what he had always been - a Libyan Jew. He took good care of us, and he worked hard to give us a good life and a future. I felt that the man I had admired all these years had left his soul in Benghazi, and I would never see the same spirit again. "In Italy he haggled over goods as he used to in Libya, but locals would mock him as he tried to be funny. The jokes he cracked fell on deaf ears and would rarely receive so much as a giggle. All his time was spent with Libyans, both Jews and Muslims. "Every time he heard someone had arrived in Rome from Libya, he was filled with an incomprehensible expectation and happiness. He would try every possible way to get in touch with them so that he could hear about the siutation in Libya. Not even once had he expressed his rancour or revenge towards the Libyans: h felt that fate was the culprit, responsible for everything. The situation eventually changed into degradation and then to depression. After his soul surrendered, his body followed and he became ill with kidney failure. Apart from a brief stint in employment, he refused to work. One a man of wealth, he never would have thought about standing in line at the soup kitchen with charity coupons to get meals for himself and his family. My mother urged him to fight back, but her words fell on deaf ears. He had long ago lost the will to live. " With onset of the war in Europe the Brotherhood became even more avid supporters of the Nazis. By 1945 they had become a hybrid of Nazism and Islam to form Islamic Jihadism, making the extermination of the Jews not just a political or territorial aim but a defining element of their worldview: one cannot be part of the Brotherhood or any other Islamic Jihadist group, just as one cannot be a Nazi, without espousing the extermination of the Jews. 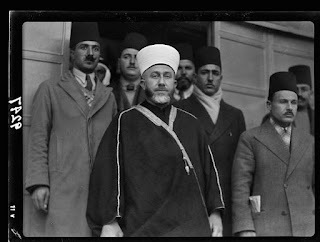 When on 20 June 1946 King Farouk granted asylum to al-Husseini, now wanted as a Nazi war criminal, al-Banna (founder of the Muslim Brotherhood - ed) applauded the decision, declaring that “in Berlin he [al-Husseini] had been purely and simply carrying out jihad [just as the Nazis had done].” The Mufti thus became a source of inspiration to the Jihadists for his devotion to the Nazis’ extermination of the Jews. In al-Husseini, then, we have an important key to the connections that bind together Nazis, Jihadists, and Jew hatred. On 3 April 1941 al-Husseini orchestrated a Nazi-backed coup against the Iraqi government, whereupon he incited the slaughter of 600 Jews in Baghdad; 911 houses were destroyed and 586 businesses ransacked. The coup failed, however, and a few weeks later the Mufti turned up in Berlin. After his initial meeting with the Führer on 28 November 1941, he recorded in his diary Hitler’s insistence that the Nazis and the Arabs are engaged in the same struggle, namely, to exterminate the Jews. The Nazis gave al-Hussein six radio stations to spread their propaganda to the Arab world. In his broadcasts he repeatedly urged Muslims to kill Jews everywhere. On 11 December 1942 he issued a call to “martyrdom” as allies with Germany in the war against the English and the Jews. “The spilled blood of martyrs,” he cried, “is the water of life.” And: If England and her allies should win the war, “Israel would rule the whole world”; if the Nazis should win, “the Jewish danger” would be defeated. Of course, he did more than radio broadcasts: as early as January 1941 al-Husseini had gone to Bosnia to convince Muslim leaders that a Muslim SS division would bring glory to Islam. Dalin and Rothman estimate that he recruited as many as 100, 000 Muslims to fight for the Nazis. The largest of the Muslim killing units was the 13th Handschar Division of 21,065 men. They went into action in February 1944. After the war “his association with the Axis had enhanced rather than shattered his halo” in the Muslim world. In 1946 he embraced Yasser Arafat, future head of the PLO, as his protégé and brought in a former Nazi officer for Arafat’s military training. On Yom Kippur, which begins this evening, Jews are reminded of the story of Jonah, who was commanded by God to warn the people of Nineveh in Assyria that He would destroy them within 40 days unless they repented their evil ways. But we also need to hear the message of the underrated prophet Nahum - that repentance is useless without a commitment to good behaviour, argues Michael (Nahum) Schwartz in Mosaic. "And that brings us back, finally, to the placement of Nahum’s book within the order of the twelve minor prophets and to its connection with Jonah. An ancient tradition evidently positioned the two books together, with Jonah first; that is how they appear in the Septuagint, an early Greek translation of the Bible from a now-lost Hebrew text that long antedates the earliest surviving manuscript of the Tanakh we use today. In today’s ordering, the book of Micah comes between them. But whether cheek-to-cheek or one apart, it is hard to resist the inference that we are expected to encounter the two books—both addressing the divine encounter with Assyria, but with very different messages—in tandem. Reading Nahum in isolation is, I think, untrue to the reason why his book was preserved in the first place. "In Jonah, the reluctant prophet warns Nineveh that divine destruction is only 40 days away. The book then carefully details the acts of repentance undertaken by the alarmed Ninevites: the king himself removes his royal robes, puts on sackcloth, and sits in ashes, ordering his people (and their animals!) to fast, wear sackcloth, and “turn everyone from his evil way, and from the violence that is in their hands.” When God sees “their deeds in that they turned from their evil way,” He relents and spares all. Nahum, for his part, enlightens us to what is about to befall that same city and kingdom at the hands of that same God—after Nineveh has exploited its divine reprieve to oppress Israel and nearly extinguish it. When one reads Nahum in conjunction with Jonah, and with alertness to the ugly and violent deeds of a Nineveh that has reverted to its pre-Jonah ways, a familiar, even orthodox lesson emerges: repentance by itself, however fully its forms are observed and with whatever momentary sincerity, is not enough to keep God’s favor. Ultimately, if proper ritual behavior isn’t matched by actual good behavior, divine destruction follows. For teaching this lesson, and with such searing clarity, Nahum deserves to be brought in from the cold and to be read and appreciated not in isolation but “among the prophets,” particularly Jonah." Dario Fernandez-Morera is a brave man. 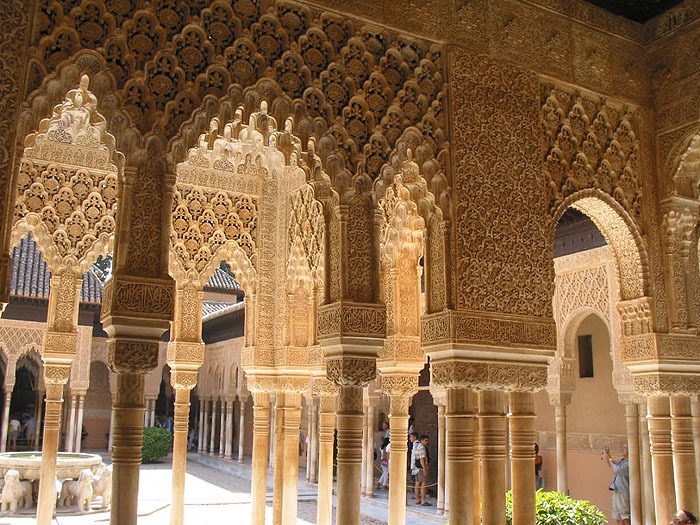 in his book, The Myth of the Andalusian paradise, he has taken on the formidable task of exploding the myth of interfaith harmony in medieval Muslim Spain. But was what followed much better? asks Lyn Julius in Standpoint magazine. In 2008 France was rocked by a fierce controversy when a medievalist academic named Sylvain Gouguenheim published an essay. Contrary to majority opinion, “Aristotle at St Michael’s Mount” argued that Muslim Spain in the Middle Ages had not acted as a conduit for the transmission of classical Greek texts to the West. Syriac Christians, rather than Arab Muslims with barely a knowledge of Greek, he contended, had ensured the preservation of Greek civilisation. Hundreds signed petitions and letters to the press, rounding on Gouguenheim and accusing him of Islamophobia. Few academics came out in his defence. His ideas fell foul of the politically-driven agenda to promote “Golden Age” Spain as a brilliant period of interfaith coexistence. The witchhunt demonstrated the dangers of attempting to dislodge prevailing myths. Darío Fernández-Morera, a professor of Spanish and Portuguese at Northwestern University, must be commended for daring to wade into this hazardous arena. He has come well-armed: his The Myth of the Andalusian Paradise has 95 pages of notes, and the lionisers of political correctness will not find it easy to penetrate chinks in his bibliographical armour of primary and secondary sources, many not published in English. In an exhilarating and unput-downable read, Fernández-Morera debunks the fashionable myth that Muslims, Christians and Jews lived together (convivencia) under “tolerant” Muslim rule. He prefaces each chapter with a quote by scholars, politicians and respected publications extolling the Andalusian paradise. World-class academics — hailing from Yale, Harvard, Chicago, Princeton, London, Oxford — look like fools in their apologetics for jihad: the violent Muslim conquest of Spain euphemistically described as a “gentle migratory wave”. The very renaming of Spain (from the Latin Hispania) as al-Andalus in order to avoid offending non-Christians is one of several “hegemonic manoeuvres” to disguise a dystopia built on slavery and Islam’s “imperialist system” of strict separation and subordination for non-Muslims. According to Fernández-Morera, coexistence was never more than precarious. Jews and Christians lived as subaltern dhimmis who paid a jizya tax to live under Muslim protection. But, the author claims, the dhimmi system was never other than a Mafia-style protection racket. To ensure their survival, non-Muslim communities built a wall of exclusionary practices “for fear of the Other”. Strict rules ensured that no heresy could be tolerated. Thus the Karaites of Spanish Judaism died out. Throughout the six centuries that Islam ruled Spain, it was always under external pressure from the Christian Reconquista. Insurrections by muladis, Christian converts to Islam (in the notorious Massacre of the Ditch, 5,000 muladis were beheaded and crucified), plagued the “paradise of al-Andalus”. Gradually the Christians clawed back every inch of Muslim Spain (from which Christians had been systematically expelled). Only the city of Granada was beyond their reach until it was retaken in 1492. The Maliki school of jurisprudence prevalent in Spain was conservative and intolerant: the much-vaunted age of Ummayad “tolerance” was characterised by persecution, beheadings and crucifixion. In true colonialist style, the Muslim conquerors did their best to erase local place names and languages. They ruthlessly destroyed churches and built mosques on top of them. Naturally, Fernández-Morera echoes Gouguenheim’s theory that Byzantine monks were already translating Greek texts into Latin. It was “baseless” to say that Islam preserved classical knowledge and passed it on to Europe. In fact Islam slowed down the exchange of science, art and poetry. Many of the so-called Muslim luminaries of the Golden Age turn out to be of non-Muslim or non-Arab ancestry, if not themselves Christians and Jews. More controversially, Fernández-Morera contends that the pre-Islamic Visigoths have received an unfairly bad rap: they had already laid medieval Spain’s rich cultural foundations. The Visigothic anti-Jewish restrictions, designed to lead to the disappearance of Judaism, were often worse than the dhimmi regime’s, causing Jews to side with the Muslim conquerors, but Fernández-Morera claims that the Visigothic anti-Jewish rules were often ignored. If it were not for the Reconquista, Spain would have become a “ham and drink-free” zone. Western civilisation would have stopped at the Pyrenees. It took several centuries for Christian Spain to achieve its own literary Golden Age. But this was also the age of the Spanish Inquisition, and so many of the glorious literary figures cited by the author are conversos from Judaism, or have Jewish ancestry, that Fernández-Morera’s concluding paragraphs are a whitewash. The Spanish Christian Golden Age seems only to have replaced one cruel and intolerant system by one even worse — at least as far as Spain’s Jews were concerned. The story of the 1839 forced conversion of the Jews of Mashad to Islam is one of the darker episodes in the history of Persia. The vast majority of their descendants have fled to the West, where Jews no longer need to practise in secret, or arrange marriages between their children to preserve their Judaism. In researching this profile of Mashadi Jews in Britain for Jewish Renaissance, Michelle Huberman stumbles upon the Cinderella-like tale of Vicky Cohen, who broke with tradition and married a US serviceman. Once a month - at the top of Kinloss synagogue in Finchley - a group of senior ladies gather together around wooden tables to play cards, eat cake and talk about the old times. But their memories are not stories of East End market stalls, meeting boys on Commercial Road, but life as secret Jews living in Persia as Muslims. Not that many of these ladies can remember Mashad in the north-east of Iran, as most came as children to Stamford Hill in the 1920s - but their parents passed on their personal memories - which all families have imprinted in their DNA. As was often the case, the men came first - trading mostly in rugs and diamonds - and once they had settled they called for their wives and children. The Mashadi community were very different from their Jewish neighbours - most of whom were Ashkenazi who had fled Latvia and Lithuania in the 1880’s and had now moved up from the East End to Stamford Hill. These families had experienced a totally different life and stuck together within their community and initially created synagogues in their own homes. Life in the West was a major shock for these women used to a strict Muslim culture. Leon Meyer told me how his grandmother Miriam Agadjanoff (nee Nehmed) first came to Europe sometime in 1925 wearing an Islamic chador and was shocked that women went outside with their head’s uncovered and wore shapely dresses. 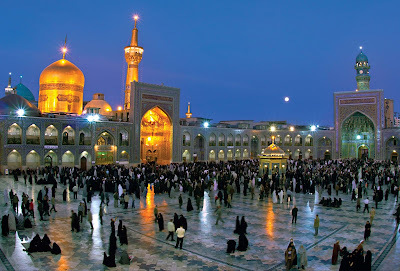 In Mashad the Jews lived a life as crypto-Jews - outwardly practising Islam with their Muslim neighbours but secretly practising Judaism in their homes. Hendon resident Matti Haron tells me: “my grandfather Matatya and his family from Mashad were forced to convert to Islam. To show the community that he was a ‘good Muslim’ he travelled the long journey by horse to Mecca on Haj. On his return he passed through Jerusalem - and was amazed that Jews lived freely and worshipped openly in the holy city, unlike his hometown. 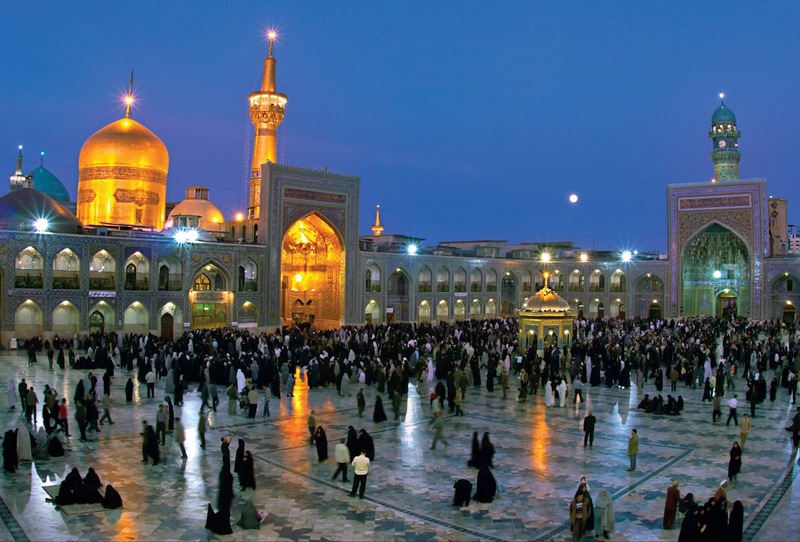 As soon as he returned to Mashad, he sold up and returned with his family to Jerusalem and set up home in the Bokharian quarter, where I was later born”. During the Great War the family were evicted to Alexandria, Egypt. Fleeing violence again in 1947 they moved back to Israel and thence to London where he settled in Hendon with his wife Jaffa. When WWII broke out the whole Stamford Hill community moved en masse to the seaside town of Torquay in Devon to escape the London bombings. Pauline Aminoff - one of the matriarchs of the community and now in her nineties - explained that women and children installed themselves in the boarding houses, went to local schools and that their fathers remained in London to work. I caught up with her son Gabriel Travis from California, who explained: “She was always afraid that her father would come in secret and take her back to London. Her marriage with Roy was a good one, and they made a happy life for themselves in Los Angeles. They had three children: my sister Naomi, my brother Adam, and me. Later in life she reconciled with her father. She was close to her half-brother, Nathan, who is living now in Colorado. Vicky and Roy died within a few weeks of each other in 2013”. Her children are alive and living in California. Vicky and Roy were the exception. Most of the older generation of Mashadis married their cousins. Customs from Persia die hard in the community, as they had to protect themselves from intermarriage. If a Muslim suitor approached them for their daughter, they could claim that she was either married or had already been spoken for, even aged nine or ten. This way they kept marriages among themselves and eliminated the risk of being discovered. Until very recently, this practice of marrying young was the norm. However, now most of the marriages are within the wider Sephardi community and to the occasional Ashkenazi. Most of London’s Mashadi Jews have left Stamford Hill and live in and around Finchley. The rest of the community live mostly in Israel, New York, Hamburg or Milan. One of the most remarkable facts about the Mashadis is how they have retained their unique culture through the centuries.